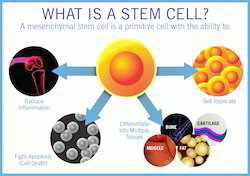 Permanent Relief Of Pain Centre - Service Provider of prp therapy service, stem cells therapy service & teleradiology services in Agra, Uttar Pradesh. This will be discussed between you and doctor after thorough check up . Up to three injections may be given within a six-month time frame. However, a large number of people gain considerable to complete relief after the first or second injection. Tendinitis Bursitis Hip Arthritis Knee Arthritis Osteoarthritis SI Joint Dysfunction.